Academic Success starts with reading and writing well! Use the resources on this page to support your student's success! 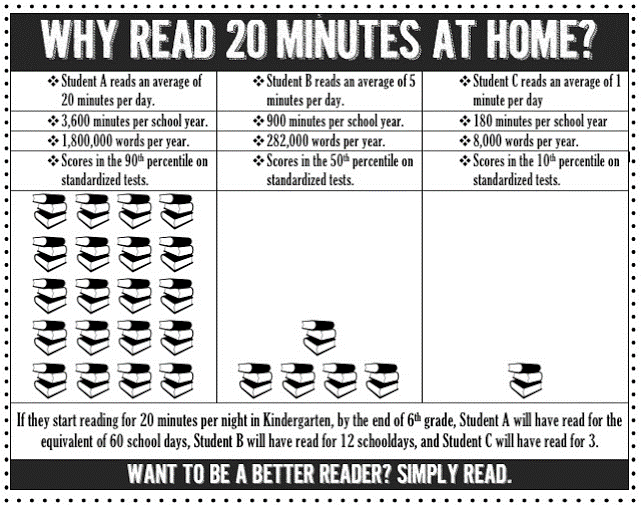 ​“When you give your students the chance to practice and strengthen their reading skills on high-quality, high-interest books that they can read with confidence and accuracy, they will make progress—in fact, studies have shown that independent reading is the best way to get students to make gains,” says Serravallo, who is the author of Scholastic’s new Independent Reading Assessment: Fiction. PAWS - Planning a Way to Success - These meetings are a great opportunity for parents to learn how to read their child’s Reading and Math Inventory reports, and how to help their child get on grade level and set goals. nPrevent the summer slide! Use the summer calendars to keep your brain active while you enjoy some fun this summer. There are plenty of activities to choose from. Check out the web resources, keep track of your independent reading and brush up on some math skills! Click on "Summer Calendars" to check out Cooper's homepage for access.